I’ve been quiet over the last several weeks. The main reason is I was working on a book called Beyond Arbitrage. I’ll touch on that in a minute, but I wanted to give you a nugget or two from Jim Cockrum’s CES Conference this past weekend. Rabbi Daniel Lapin quoting from the book of Genesis said that it’s not good for man to be alone. In the context of your business this can mean several things, but one interpretation is: Don’t do this business by yourself. I have talked about this before, but it’s so important. If you’re selling physical products online 90% of the general public (maybe more) don’t get what you do. That means that maybe even your closest friends and relatives have no idea what your business is about. So what’s the solution? Community. That can be as simple as joining some Facebook groups like MySilentTeam or ScanPower, but in my opinion there’s nothing like being a part of a mastermind group where you get to know each other personally and help each other’s businesses grow. The other piece of advice is: Take action on one thing right away. Many times going to a conference or taking a course you may feel overwhelmed with good ideas and information to implement. Don’t try to implement every good idea all at once. Take one idea and work on that. John Bullard Sr and I just released our new book called Beyond Arbitrage. 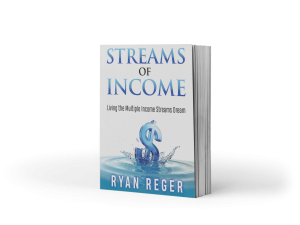 If you’re ready to take your business to the next level then this book is for you. Do you prefer the Stairs or the Elevator? Q4 is Here! Are you Ready?